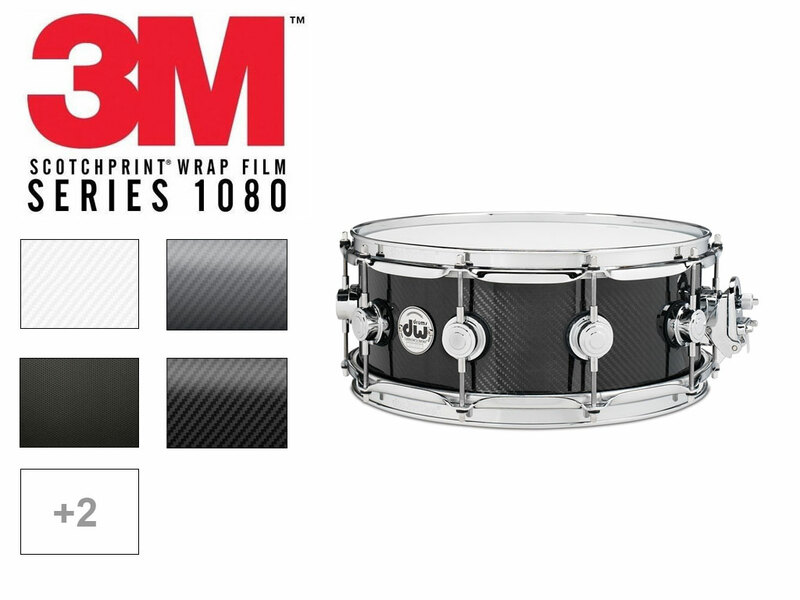 Quickly and easily upgrade the look and feel of your drum with one of our premium 3M™ Carbon Fiber Drum Wrap skins. Made especially for wrapping, these textured, vinyl films have air-release liners which makes installation a breeze. Choose from Black, White or Anthracite (Gray) Carbon Fiber and make your drum kit the envy of local bands! 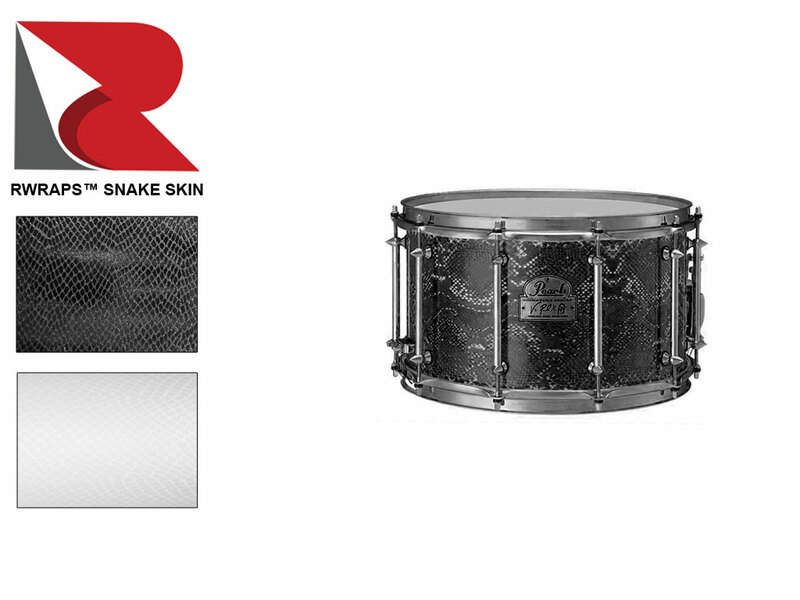 Add the look of real Snakeskin in White Snake or Black Snake film to your snare, toms, bass or entire drum set and get a one-of-a-kind look. 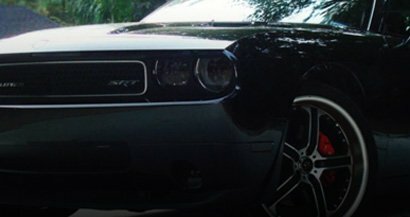 Enjoy the savings and pride of installing this DIY Drum Wrap and be sure to send in your pics to get our Instant Photo Rebate! Have you got an old, snare drum or floor tom that's scratched and scuffed or a bass drum that you want to freshen up with a color change? You could try painting them or refinishing them but get ready for a crazy learning curve and lots of time and money. Unless you're a glutton for punishment there's a much easier way to get a cool finish: just use one of our quick and easy color-change Drum Wraps! Still on the fence? Don't be! 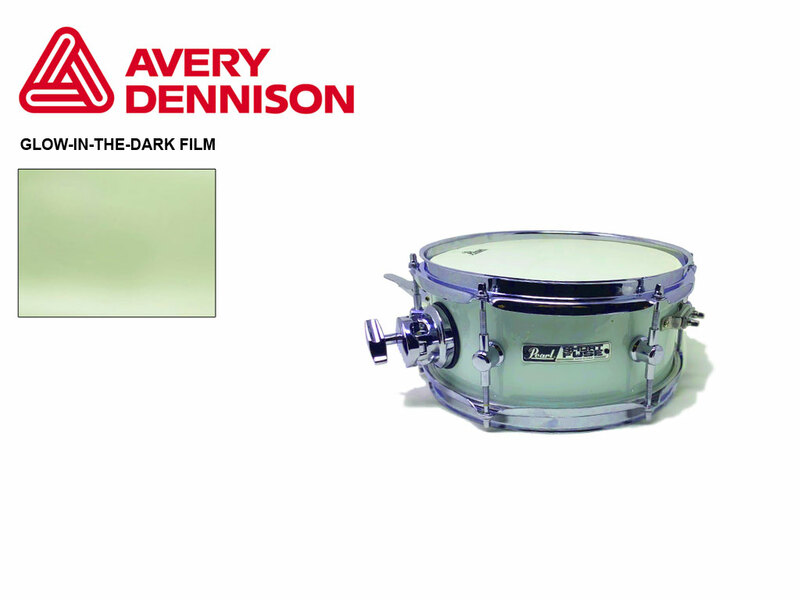 All of our Drum Wraps feature air-release channels so you get no crease, bubble-free results. Which Style of Drum Wrap Is Right for You? At Rvinyl we pride ourselves on carrying one of the largest selections of craft, sign and wrap vinyl anywhere. As a result, we're able to offer you a wide variety of choices when it comes to custom Drum Wrap. 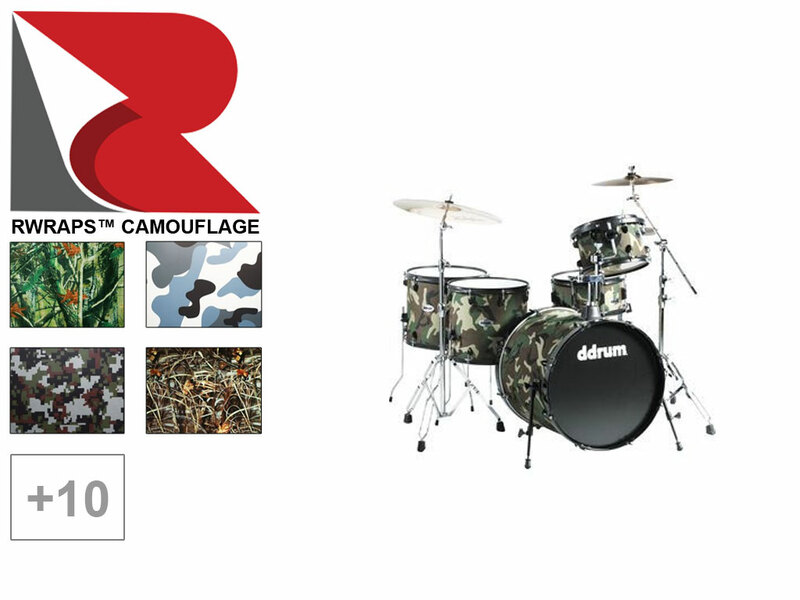 Choose from 3M™ 1080 Series Carbon Fiber Drum Wraps, Snakeskin Drum Wrap or go for a more inspried look with our Camo Drum Wraps. Why Choose a Drum Skin Wrap? There are a few other companies out there who offer true custom or trim-to-fit solutions for wrapping your snares, toms or bass drum but just because they're precut doesn't mean they're any easier to put on. In fact, you have to be pretty darn accurate to get it on right. Plus, there's another reason to buy your guitar skin from us: textured wraps. Every other company we know of offers digitally printed skins for guitars but what if you want something a little more unique? What if you want the look of Carbon Fiber with a 3D texture? If you go anywhere else you'd be out of luck but we've got all that and more at Rvinyl.